The Federal Aviation Administration issued a total of 132 airspace authorizations to drone users as of Sept. 15 to assist in Hurricane Irma recovery efforts, and 137 authorizations to assist in Hurricane Harvey recovery efforts. 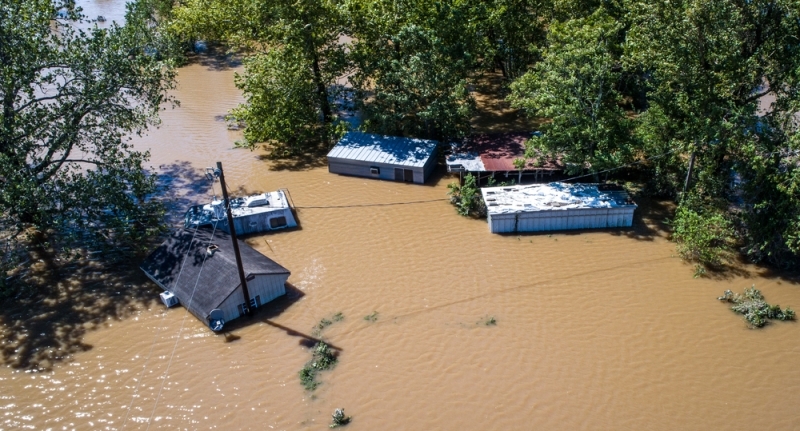 The Air National Guard used drones to assess disaster-stricken areas quickly and decide where to send resources. Also, the U.S. Customs and Border Protection sent drones from Corpus Christi to Florida to help map areas in Key West, Miami, and Jacksonville, using radar to survey geographic points on infrastructure such as power plants for FEMA. Airbus Aerial is allowing insurance companies to act quickly on claims from homeowners with hurricane damage by combining data from drones, manned aircraft, and satellites to provide a clear image of specific locations before and after the hurricane. The Jacksonville Electric Authority (JEA) used drones to conduct damage assessments in less than 24 hours from when Hurricane Irma passed through, which ensured the safety of its employees. Florida Power and Light (FPL) has 49 drone teams surveying parts of the state that are still inaccessible by vehicles. Some of the drone operators FPL hired were flying within an hour after the storm winds subsided, according to the FAA. In Houston, drone operators performed search and rescue missions and assessed damage to roads, bridges, and other critical infrastructure. Media outlets also flew drones over Houston to provide news about flooding and damage in the area. During hurricanes Irma and Harvey most local airports were either closed or dedicated to emergency relief flights.